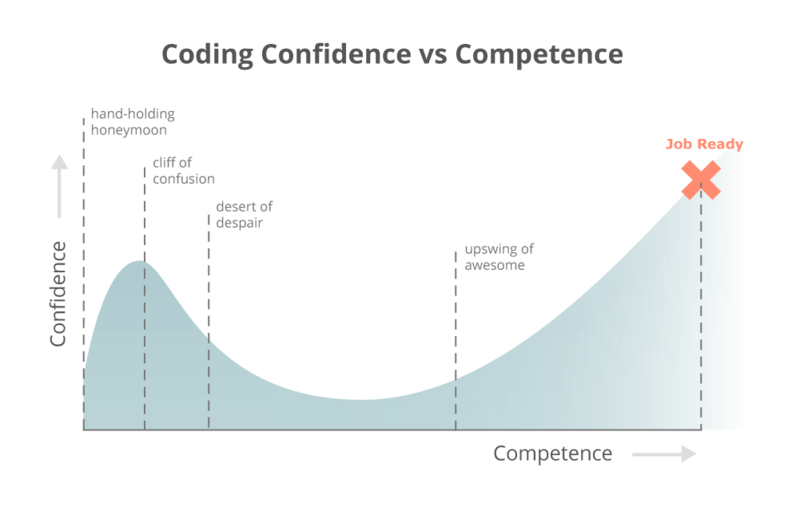 If you are going to learn to code and you are planning to stick with it, then you owe it to yourself to read this: Why Learning to Code is So Damn Hard. I think any area of learning where you get good initial training would look similar to this. I recommend you find some mentors to help get your through the desert of despair. This entry was posted in advice, IT and tagged advice, coding, IT, learning, software. Bookmark the permalink.